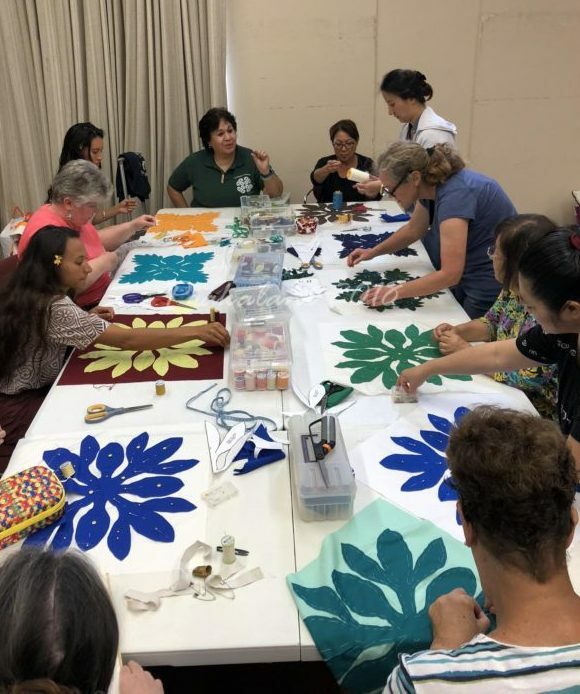 News & Updates Archives - Hawaiian Quilting With Poakalani & Co.
Why? Because we love the ocean. 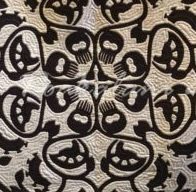 Design First, News & Updates, Quilters Comments Off on Why? Because we love the ocean. 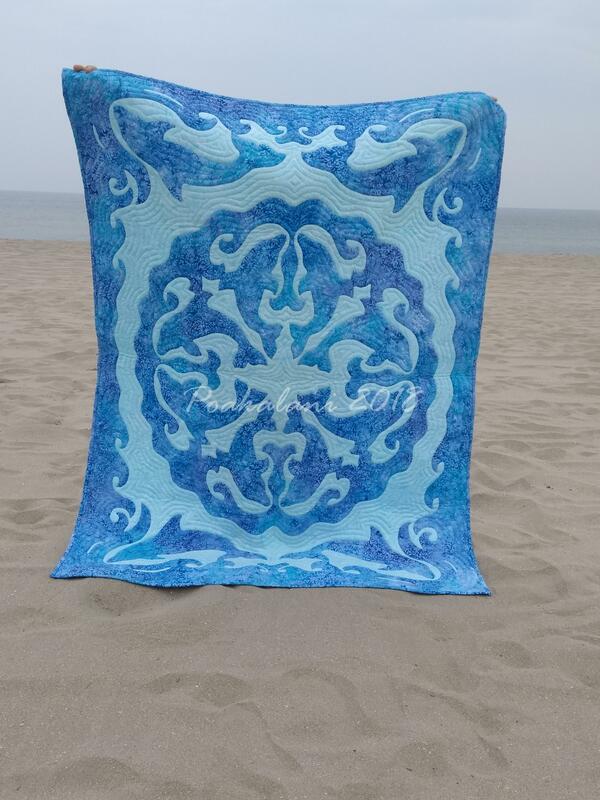 Yes the ocean has been the theme these past few weeks because it translates into some beautiful and amazing designs. 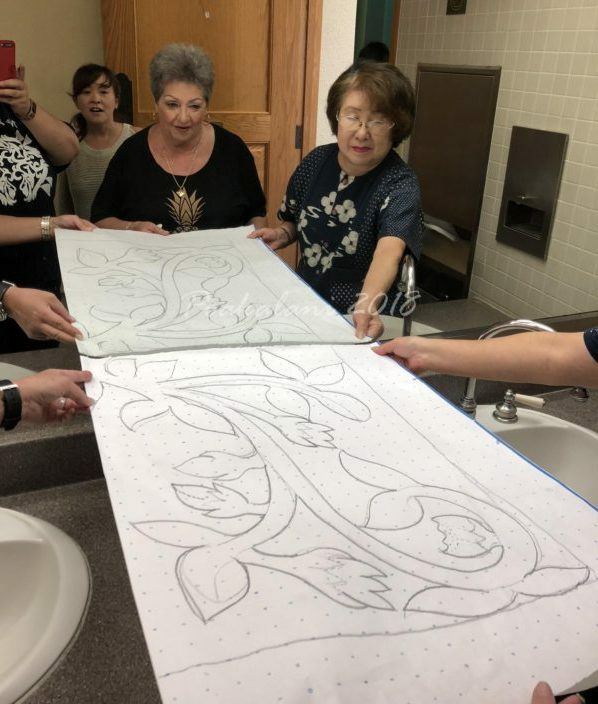 Great job Rava I can’t wait to see it quilted. 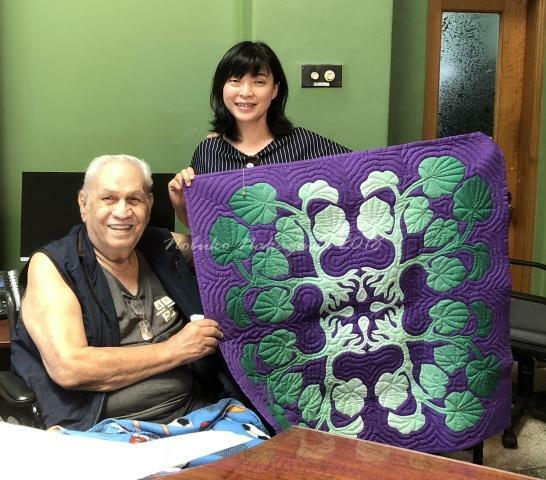 Isn’t it great to see our younger generation quilting Hawaiian. I’m loving it! 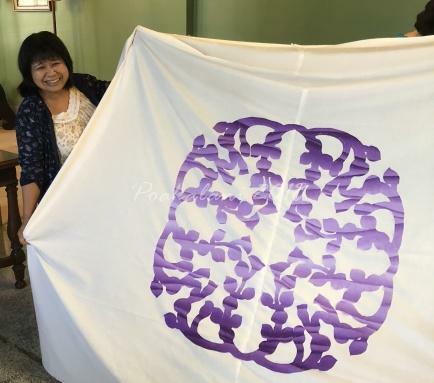 Jennifer’s quilt will keep her busy when she’s out at Sea working and giving this quilt it’s soul. 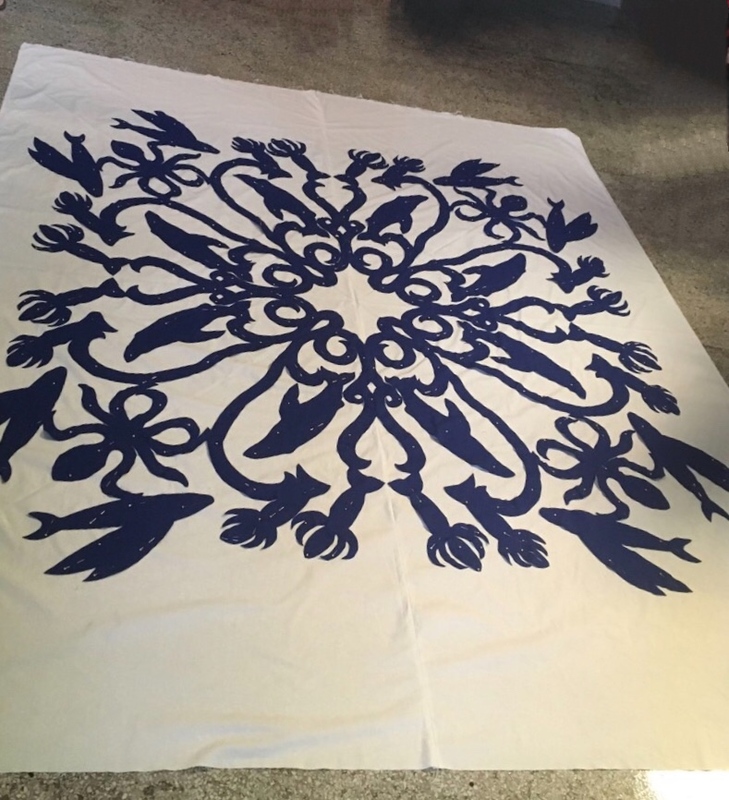 Flying Squid, Flying Fish and other sea life. Amazing and Beautiful. 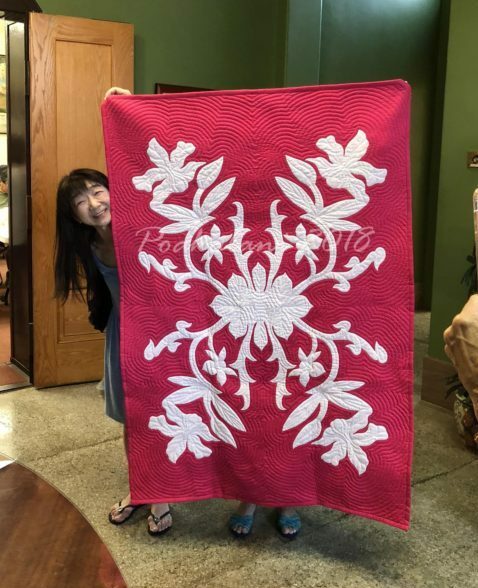 Please enjoy a few pictures from our Quilt Exhibit 2018. It was amazing and beautiful. 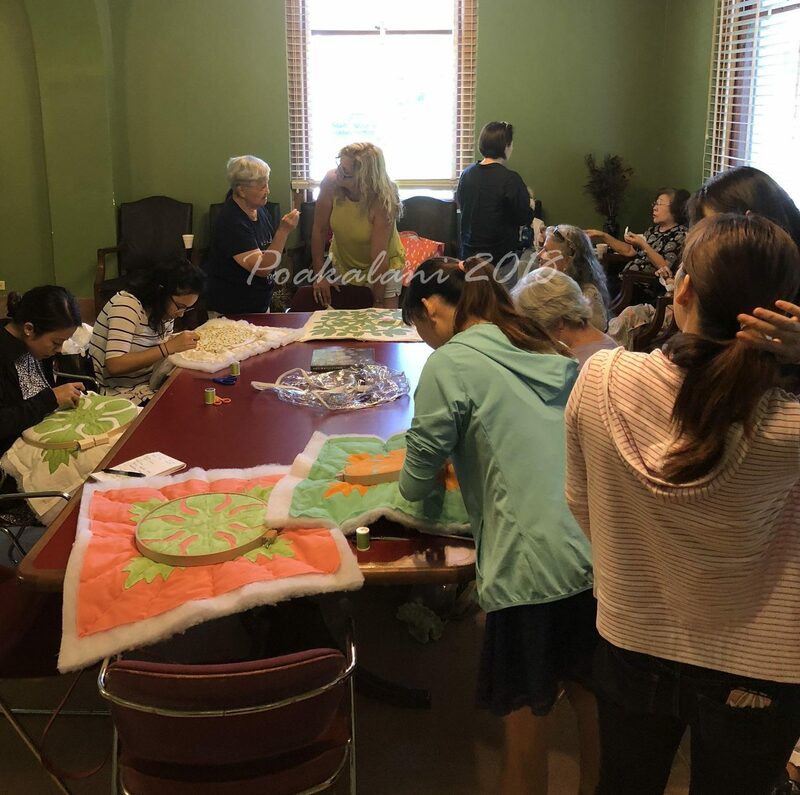 I wish I had the time to tell you about every quilt and quilter they’re all so special to our class. 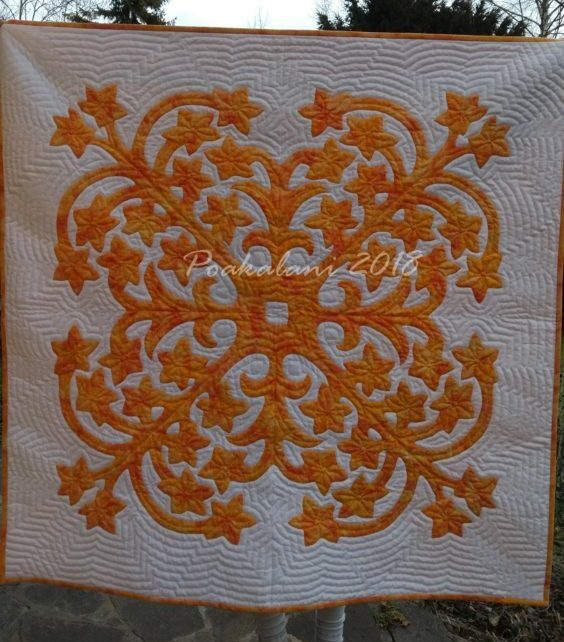 Please forgive me if I forgot to post some quilts as well as quilters.. 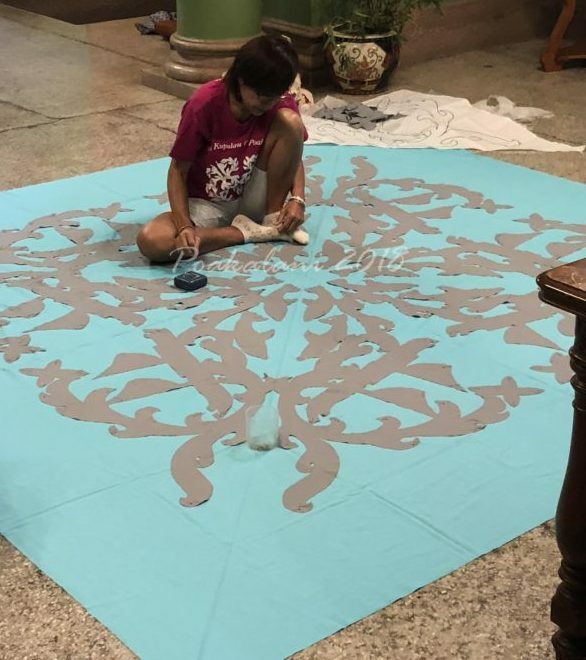 I did my best. Enjoy. 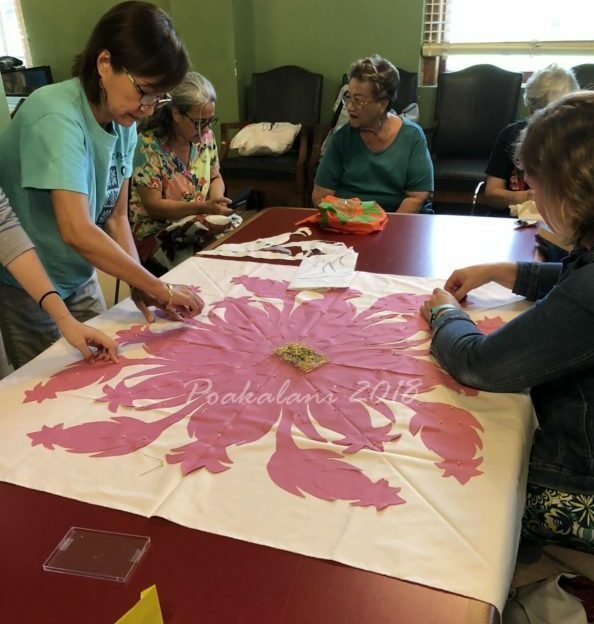 …all because of these amazing quilters. All of you please take a bow. 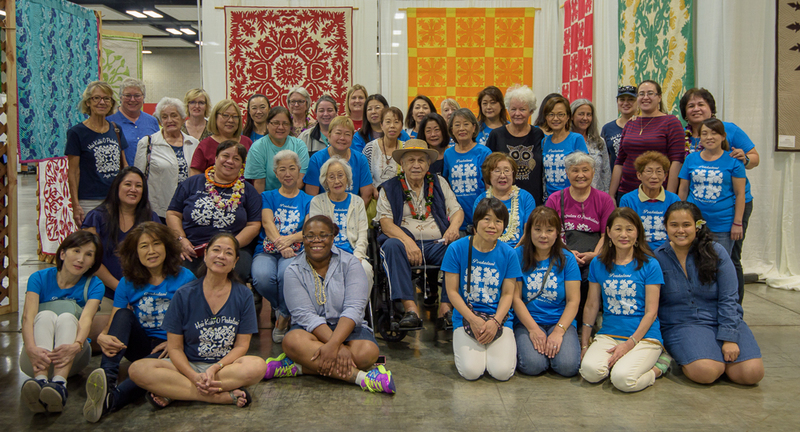 You made this the best Honolulu Festival Quilt Show Ever. 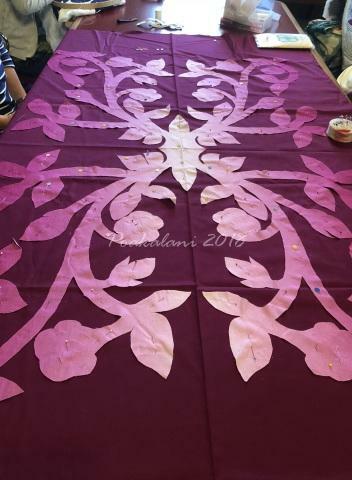 Thank you for your help and continued support of the Poakalani Quilting Legacy. We love all of you and we’re now going to start planning for 2020. 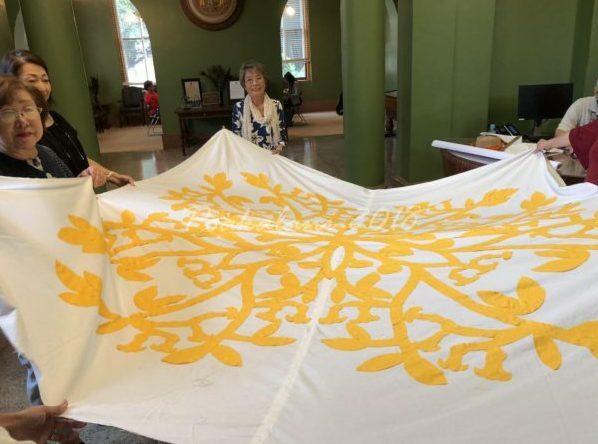 Special Thanks to JTB and the Honolulu Festival for giving us a beautiful venue to showcase the quilts, Anne of Anne’s Hawaiian Quilts who was our liaison and actually made this happen, the husbands we can’t forget the husbands and Gordon who came out to hang the large quilts, the quilters who were also there the “WHOLE” time from hanging to take down, my cousin Kaylene you are so awesome, and our on-line supporters and quilters from all over the globe. 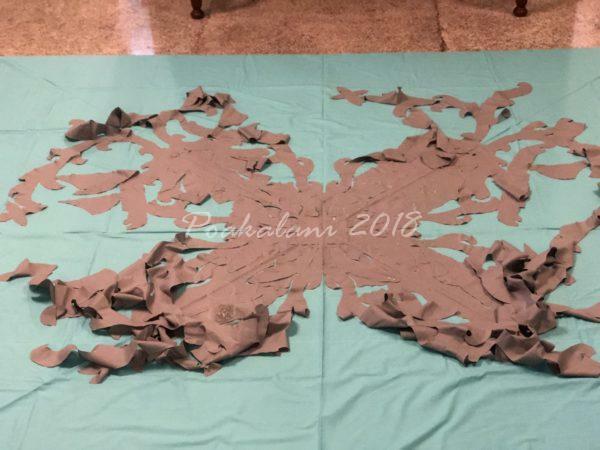 Let’s continue to perpetuate this amazing fabric art unique only to Hawaii. 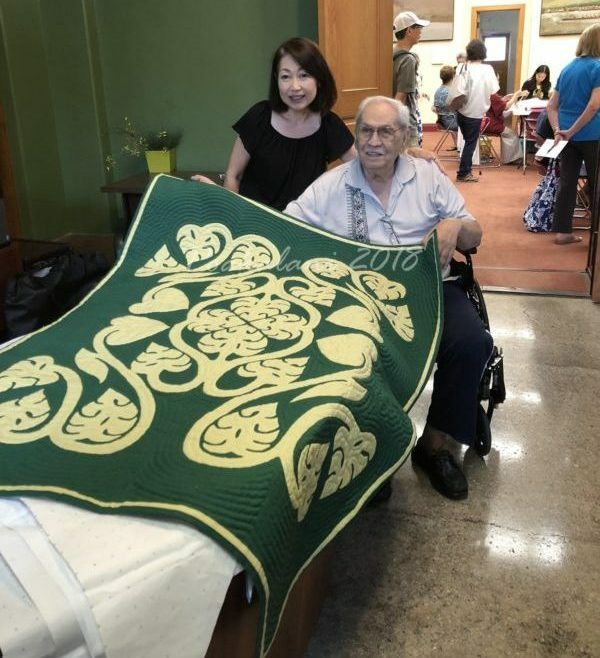 A Special Thank you to my Serrao Ohana, Aunty Jojo & Uncle David, Cousin Lei Momi, The Richard Serrao Ohana who allowed us to showcase the Family Quilts by Tutu Hattie Serrao. Quilt Show pictures to follow soon. 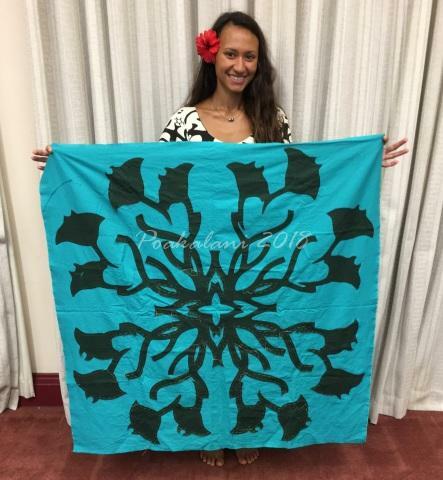 …and we’ll be at the Honolulu Festival at the Honolulu Convention Center showcasing our students quilts. It’s going to be “Great”. 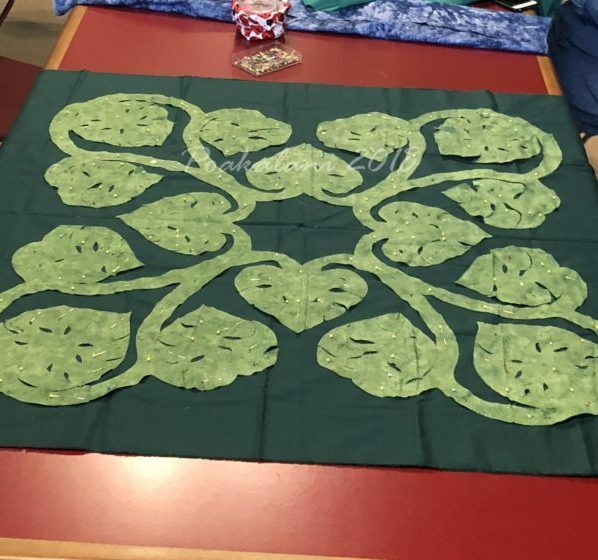 Until then enjoy this completed wall hanging from my dear friend Sabine in Germany. 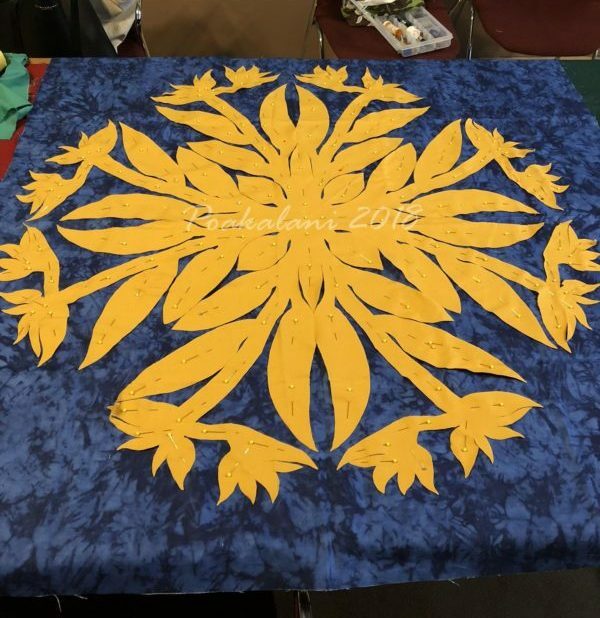 Amazing Plumeria Quilt. 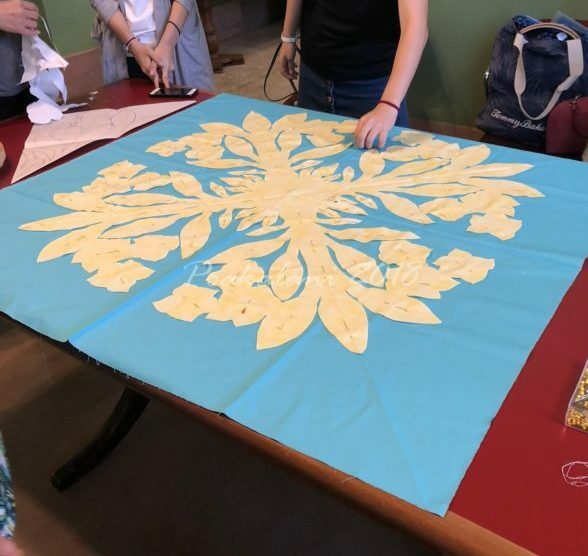 Hawaiian Quilting can be found even in Germany. 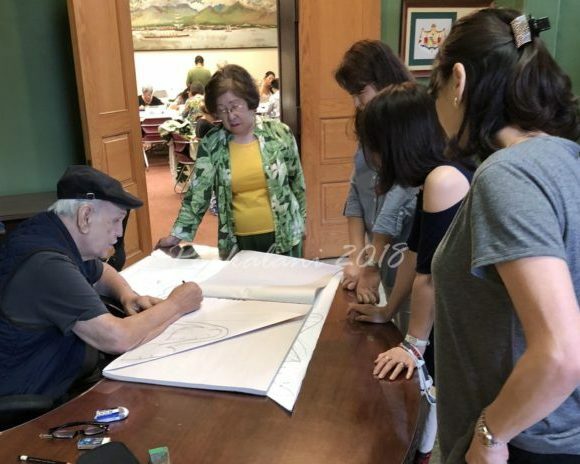 Thank you Sabine for sending the picture.